It’s not Wednesday…I’m a little slow to post this week! I only have a few random doodles to share with you. 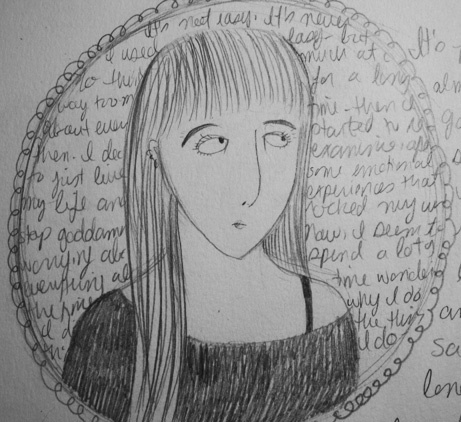 I’ve been attempting to spend more time doodling, as I keep saying I will. It’s been so tough to keep up with all the things I want to be keeping up with. Maybe the trick is waking up a little earlier in the morning, I bet that would help! I find the fall/winter to be nearly impossible for early rising. It’s so tough getting out of bed when it’s cold and dark! 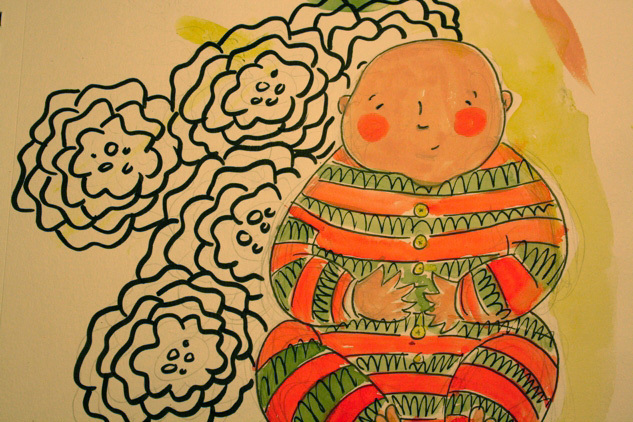 When I doodle, most of the time it’s without a plan, which is basically how I do most things. I tend to just figure it out along the way and let my mistakes guide me. Mistakes while I’m doodling, as in life, are teaching opportunities, they are chances to re-examine what’s happening, and to make adjustments in order to make things work. 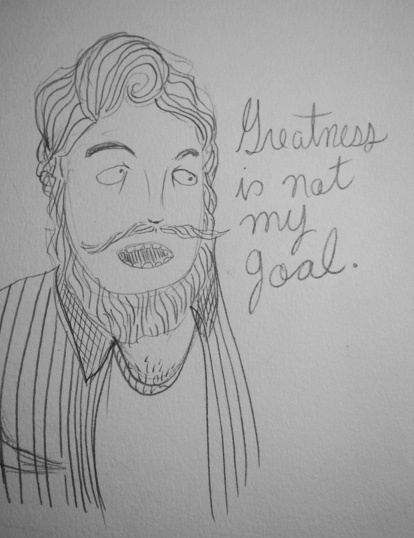 Like this dude above is stating, greatness isn’t my goal. I used to get so hung up on getting it right the first try, but now I know better. It’s more important to follow the path, and learn to navigate yourself through the roadblocks. Drawing is definitely an outlet for me and always has been. I immediately feel better, more calm, and more clear minded after a good while working away in the studio. It doesn’t matter if what I’ve made isn’t worthy of being put in a frame and showcased, although when that happens it’s nice! What matters is I’ve spent time with myself, for myself, doing what I love to do.